The lives of two very different couples--an officer and his aristocratic wife and a young soldier and his childhood sweetheart--are irrevocably intertwined and forever changed in this stunning World War I epic. I always claim to be a big fan of books set during WWI and WWII, but when the yearly lists are drawn up it never seems that I read many books that qualify. I used to. I find so many changes in my reading over the years. I am not sure if I would have noticed if I wasn't keeping track. That being said, would the changes have happened if I wasn't keeping track? Thanks to the Bess Crawford Read-Along and TLC Book Tours, I finally seem to be sneaking some WWI books back into my reading. And, good WWI books. That's always a plus! I have to admit that my participation in particular TLC tours is very laid back. 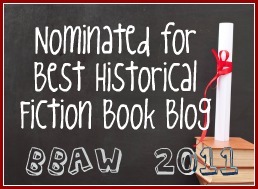 I saw that this book was historical fiction and then saw WWI and I signed up. I actually didn't have the slightest idea what I was signing myself up for other than that. Then, the book arrived and I thought the cover was a bit artistic and I liked the font. I still didn't look at the back of the book. I find that despite the best intentions there can be spoilers and I decided I wanted to be surprised. So, I cracked the spine and prepared to enter a time almost 100 years ago. And, I have to say, I mostly enjoyed my reading experience in that time period. 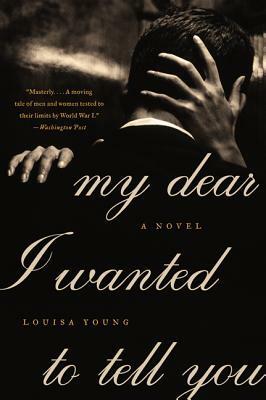 My Dear I Wanted To Tell You covers two couples before, during, and after WWI. One couple is married and is relatively well off. The other couple has liked each other since they were very little, but come from different sides of the tracks. The book circulates between their viewpoints, but it also includes a nurse that is related to the aristocratic couple. She works because circumstances have brought her into the lives of all the characters so her viewpoint is just as valid. The aristocratic couple, Peter and Julia, have to deal with the war in the terms that it horrifies him and she has no idea how to handle it. He felt that he was doing his patriotic duty and left early in their marriage. She has always been 'pretty' and is not sure how to deal with the changing world. It is interesting to see their two viewpoints. Then, the other couple, Nadine and Riley, are attempting to love each other against differences in social standing and a war raging. They feature in the majority of the book. I am still toying with what I actually thought of this book. Initially I thought I was going to love it. The characters are well-written, the storyline is believable, and the author chooses to look at aspects of the war that are not necessarily the norm. I found myself engaged in what was going on and curious about how everything was going to play out. Then, the ending happened. I am still not sure if I liked it. It almost seemed rushed to me and on the one hand so much was going on, but on the other hand she was racing to conclude everything. I think I ultimately like how the book ended, but I am not so happy about how it played out. I still really enjoyed the book, but I am not quite as enamoured as I was in the beginning. The thing is if I think about it a bit longer I might get my head around things more, so I wouldn't not read the book because I am still mulling things over. It captures WWI very well, talks about interesting aspects of it, and has great characters. To sum things up... Did I love the book? Mostly, but with a bit of a quibble. Do I recommend it? Of course! Despite my quibbles the book is still worth reading. 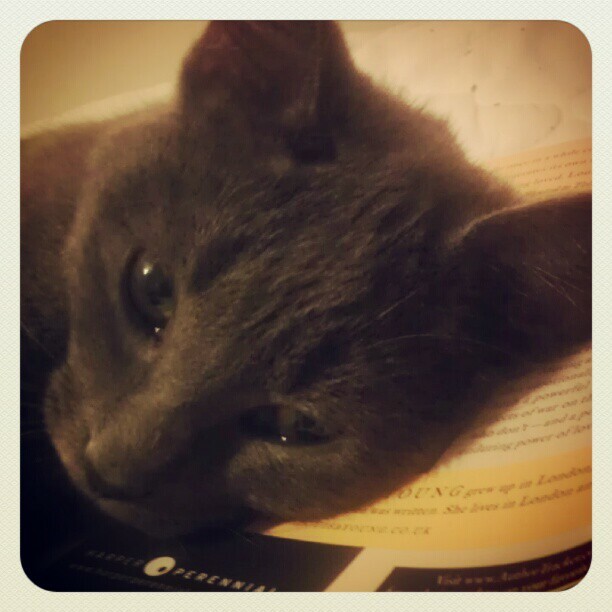 Casey was either jealous or wanted the book all to herself.